Apple took what felt like forever to make a meaningful update to the last generation of the Mac Pro. The big, aluminum tower had been the symbol of the professional Mac user since 2003 when Apple released it with the Power Mac G5. When Apple switched to Intel chips, it became the Mac Pro in 2006 and received periodic updates through 2010. 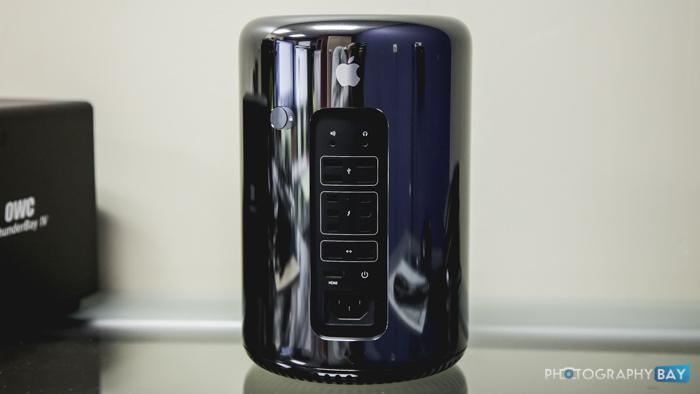 When Apple made the 2012 Mac Pro update, many professional users flipped out over the incremental updates and the failure to include modern I/O options like USB 3.0 and Thunderbolt, a technology that Apple had been pushing hard in its laptops. A Facebook group entitled “We Want a New Macpro” surfaced and became a rally point for thousands of professional users – the most vocal of which were heavy use video editors. Apple seemed to have received the message that impatient professional users were leaving (or threatening to leave) for a more modern hardware experience on Windows workstations. Shortly after the 2012 refresh, Apple CEO Tim Cook confirmed that a new Mac Pro would be delivered in 2013.